A deep dive into whether or not rice is considered to be okay for consumption on the paleo diet. I wanted to take a moment to address a topic that can generate some confusion in the paleo community: rice. Is it paleo? If it isn’t paleo, is it still okay to eat? Is white rice okay? Should I stay away from brown rice? Will rice raise my blood sugar or mess with my gut health? The answer to all of the above is: It depends on who you are. Technically, all grains are off the table when it comes to paleo, particularly gluten-containing grains. Rice is, indeed, a grain, though it contains no gluten. Depending on the person, it can be processed easily without issue. Some paleo purists say no grains, no way, no how. Period, end. Some paleo folks say white rice is okay because it provides straight glucose for your body, (which your body needs for fuel provided you aren’t keto); however, you should stay away from brown rice because the whole grain contains phytates, lectins, and arsenic which can cause digestive unrest. …And some folks say, HEY, any form of rice is okay. We’ve been cultivating it for over 3,500 years (SOURCE), which means our ancestors ate it, and the paleo diet is all about ancestral eating, right? If rice has been a major part of our diet for thousands of years, our systems have adapted to consume it. But does that mean we should still eat it? And if so, who is best suited for rice consumption? So let’s take this step by step and have a thorough conversation about what rice does to our body so that you can determine whether or not rice is right for you. First, let’s discuss the difference between white rice and whole grain rice (or brown rice). White rice is processed to remove the hull, which contains the protein and fiber – it is the part of the grain that allows it to reproduce. Essentially, white rice is pure glucose. For athletes, white rice is a food for refueling and repairing. For those who don’t exercise regularly and/or are prediabetic or diabetic, white rice should be avoided. White rice does not contain phytates or lectins (read more later on about phytates and lectins). White rice can be the saving grace for those who are sensitive to fruit, sugar, or other forms of carbohydrate. Typically, people who have gut disorders such as IBS fare well with white rice because it doesn’t contain fiber. Often those with digestive issues are sensitive to the amount of fiber they consume. In essence, white rice provides a quick and easy to digest form of fuel, which is crucial when your body is not adapted to burn fat for fuel (i.e. when you aren’t on the keto diet). Brown rice is a whole grain, which contains its bran (or hull).Unfortunately, brown rice also contains phytates, lectins and arsenic, which are stored in the bran. Phytates act as a defense mechanism for grains and nuts to ensure survival. Essentially, phytates make the grain indigestible so that when the animal poops it out, it can still root in the ground and grow. Brown rice also contains lectins, which (just like phytates) bind to vitamins and minerals and prohibit them from being absorbed by the body. While whole grains are great in theory, the fact that they contain phytates and lectins make them difficult to digest and also act as an anti-nutrient to the food you eat. 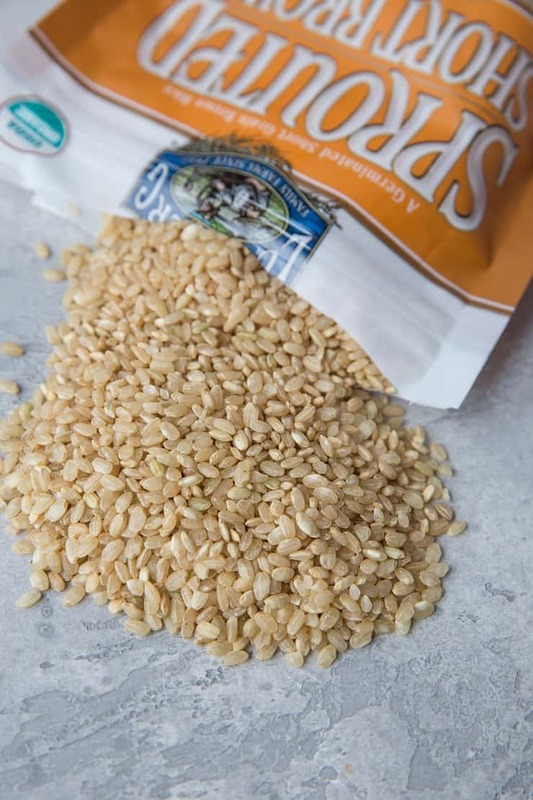 To mitigate some of the digestive issue, you can buy sprouted brown rice from the store, or sprout it yourself. The sprouting process helps break down the phytates and lectins and also unlocks the nutrients so that your body can absorb them and put them to use; however, there are still a small amount of phytates and lectins remaining. 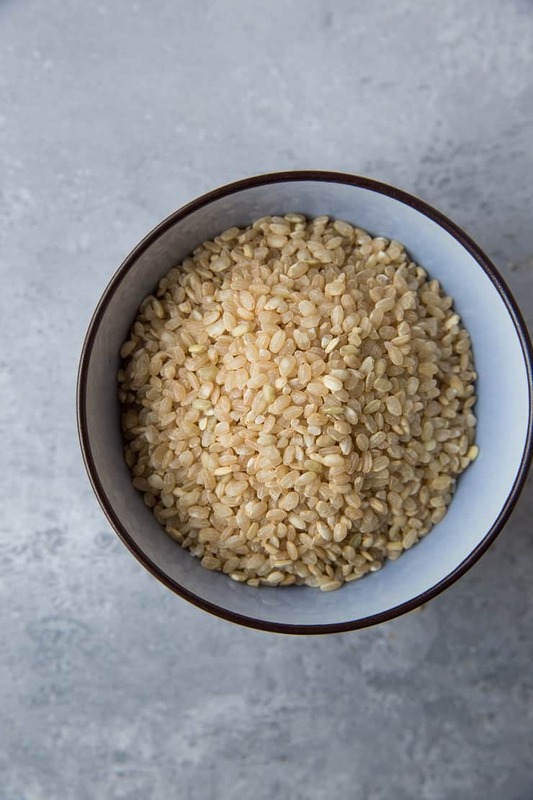 If you like the concept of eating whole grains, just be sure you choose sprouted brown rice to protect your gut lining from irritation and inflammation, and to ensure you’re actually taking in the nutrients locked away in the grain. You can read more about the difference between white and brown rice and how they relate to paleo HERE. As a whole, paleo is not a low-carb diet. There are no restrictions placed on how many grams of carbs you should eat per day; however, one of the foundational principles of the paleo diet is it is meant to be low-inflammatory (hence the reason why all inflammatory food groups are cut out). Because inflammation is a consideration, the recommended carb sources on the paleo diet are fruit (in moderation), root vegetables (beets, sweet potatoes, parsnips, carrots, turnips, etc) and winter squash (butternut, acorn, kabocha, spaghetti squash). Do grains cause inflammation? It depends on the person and on the amount. Highly processed grains (think: white flour) absolutely do, whereas whole grains are fine for some people. Gluten-containing grains tend to be very pro inflammatory, whereas rice doesn’t tend to elicit the same level of inflammation. That said, folks who are insulin resistant (pre-diabetic or have diabetes) should avoid highly starchy foods like rice and potatoes. For those whose blood sugar remains fairly stable after eating rice, it is fine to eat in moderation. How can you determine if your blood sugar is sensitive to rice? In Robb Wolf’s book, Wired to Eat, he provides detailed instructions on how to determine if your blood sugar is negatively impacted by various forms of carbohydrate. You’ll need to purchase a blood glucose monitor and eat 50 grams of rice (your choice: white or brown…you should test both. 50 grams is about ½ cup) first thing in the morning in a fasted state. Test your blood sugar two hours later (remember, don’t eat anything else, and don’t work out) – if it is within normal range (70 – 140), you’re probably fine to eat rice in moderation. If your blood sugar is higher than 140, your blood sugar could be sensitive to it and you should therefore avoid consuming it regularly. One of the side effects of eating paleo is often a great deal of gut healing. Inflammation goes down, which allows your body to heal. What exactly happens? Your bad bacteria start to die off, your intestinal lining repairs itself, your digestion improves, and therefore many facets of your health are positively affected. Big picture: your body can tolerate a certain amount of carbohydrate and/or inflammatory foods before it experiences inflammation. Once it hits a certain tolerance level (which is unique to each individual), inflammation ensues, and the blood sugar is raised. Chronic inflammation and high blood sugar lead to a whole slew of health conditions, which is why figuring out your personal carb tolerance is crucial. Does it matter what carbohydrates you eat? YES! Some of us have intolerances to various forms of carbs (gluten-containing grains, potatoes, sugar, etc), so obviously you don’t want to choose the forms of carbs that mess with your system. BUT, some folks lucked out in the genetic realm and can tolerate most or any form of carbohydrate and therefore must simply be cognizant of the amount of intake. Again, how rice comes into play depends entirely on the person. White rice is a super easy form of glucose to digest for those who have a difficult time digesting other forms of carbohydrate, like fructose or sucrose. I fall into this category. Brown rice provides an excellent source of fiber for those who don’t eat a large amount of vegetables, and as long as your digestive system isn’t hating it, it can be a very useful tool to your personal nutrition. On the flipside, those who have digestive disorders, like IBS or IBD must avoid high amounts of fiber in order to avoid triggering symptoms. So in essence, if you have digestive issues and you can tolerate rice, white rice would be the way to go. Summary: more and more, it seems most individuals find an inflammatory response with specific food groups, which means most of us do need to pay attention to the type and amount of carbohydrate we consume each day. What Concerns You About Rice? Are you worried about eating rice? If so, why? Is it the carbohydrate content? The lectins and phytates? Or is it due to intolerance? If your biggest concern is the carbohydrate content, I would implore you to track your macros. You may find the whole sweet potato, paleo muffin, or butternut squash you’re consuming every day is richer in carbs than you thought. Are you keto? TRACK YOUR MACROS! This isn’t to encourage you to switch out your potatoes or butternut squash for rice, it is to encourage you to be honest with yourself about how many carbs you’re actually eating if conscious carb-intake is a thing for you. If you’re worried about the lectins and phytates in rice, understandable. If this is your hangup, make sure you’re also not consuming all other grains, nuts, seeds, beans, legumes, potatoes, tomatoes, eggplants, bell peppers, and chilis. Nuts and nightshades are extremely high in phytates and lectins, yet they are paleo friendly. Just food for thought. Can you see a trend here? I’m presenting the question so that you can take an honest look at the rest of your diet and see why you are eating what you’re eating, and why you’re eliminating what you’re eliminating. Always, always know your why. The way I look at inflammation in my own diet is as an aggregate. I know the foods that inflame me the fastest are gluten-containing grains, sugar, alcohol, and dairy (in that order). Does that mean I absolutely never eat those foods? I never eat gluten. But I do consume a small amount of rice, sugar, alcohol and dairy on rare occasions. When I do eat them, I am cognizant of the amount I eat so that I don’t cause an inflammatory response (for me, inflammation leads to IBS symptoms). I exercise daily (and pretty intensely), which means I need more carbohydrate than say a keto diet would call for; however, because I have an inflammatory condition (IBS) and am sensitive to blood sugar spikes, I still eat a fairly low to moderate carb diet. I aim for 75-150 grams of carbohydrate per day, depending on the type and intensity of my exercise. Because I have an intolerance to all potatoes (including sweet potatoes) and most fruit, I find rice is my all-star carbohydrate of choice. It soothes my belly, absorbs any sort of weird bubbliness that’s going on, adds bulk to my stool (pivotal for someone like me who is chronically constipated), and adequately refuels my glycogen supply. All things considered – my carbohydrate threshold, food intolerances, and my IBS – rice is a hard YES for me. Is it a hard yes for everyone? Absolutely not. Do I go wild on rice? No. I am careful about the amount I eat and the time at which I consume it. When I eat it, it’s usually centered around working out, and it’s typically 1/2 to 1 cup at the most. 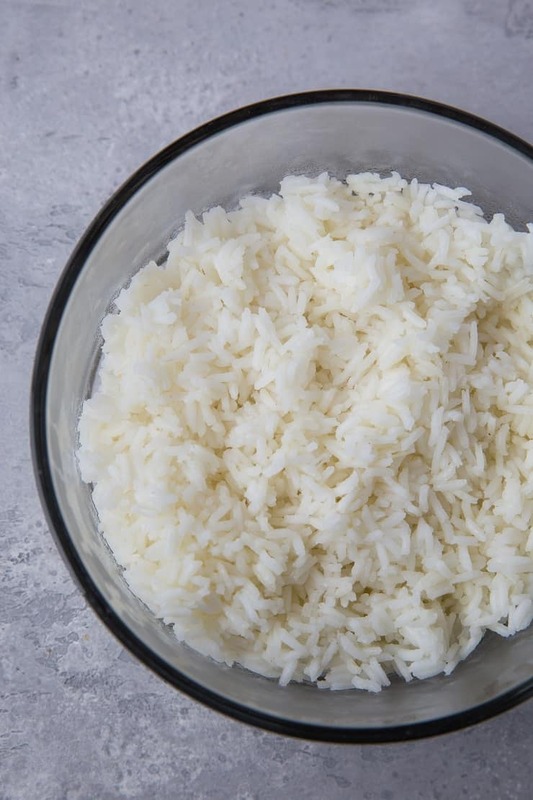 When I have an IBS flare, I go for white rice, because it contains no fiber – lowering my fiber intake while I’m experiencing a flare helps me get my system back in order quicker. It may sound counterintuitive since everyone tells you you need fiber to poop, but fiber feeds bacteria (both good and bad), so those with gut conditions should avoid it (particularly raw vegetables) when experiencing GI troubles. Because my body tolerates both whole and white rice well, I eat every form of rice. As mentioned before, I stick with white rice when my IBS is yelling at me, but I love the texture and flavor of brown rice when my IBS is in check. There are a few brands that sell sprouted brown rice, which helps make the protein in rice more digestible and absorbable. Whenever I find sprouted brown rice at the grocery store, I do a happy dance and snap it up. Don’t freak out. If you’re going to eat rice, white is the best choice, but sprouted brown rice works well too. If you’re concerned about phytates and lectins, limit your intake of all grains, legumes, nuts, and nightshades (tomatoes, potatoes, eggplant, bell peppers). I recommend testing your blood sugar after eating carbohydrate-rich foods regardless of the source, so if you’re curious about that sort of thing, snag a blood glucose monitor (<-this is the one I use) and see what happens after eating rice and other forms of carbs. I think it is important to know what is happening with your blood sugar in general. I always recommend buying organic rice. Rice is not one of those foods that you can swing either way – it will collect pesticides, guess what pesticides do in your body? They’re a vicious toxin so not only do they create more work for your immune system (because your body has to get rid of them), but they cause inflammation as a result. So throw your body a bone and if you’re going to eat rice, choose organic. 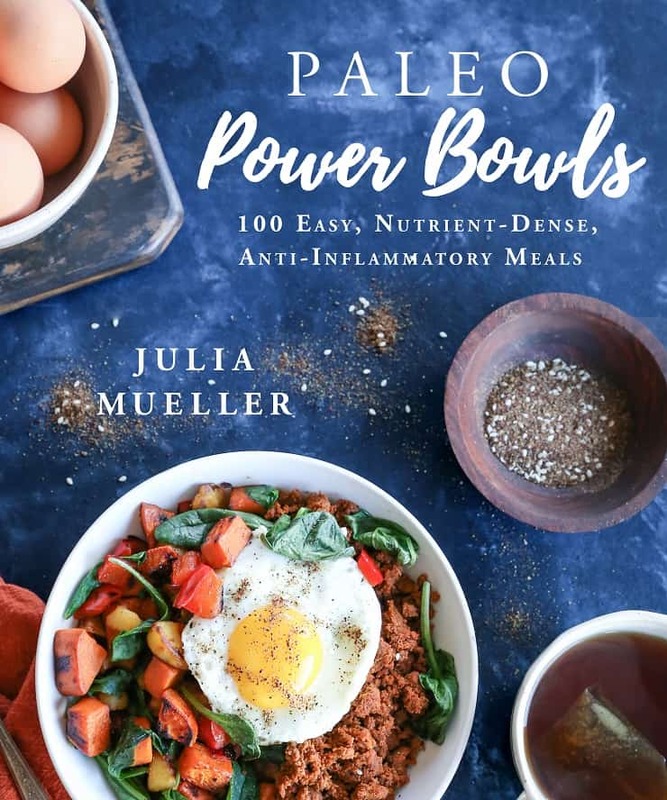 One of the reasons I brought this topic to the forefront, is I do include recipes with rice in my upcoming cookbook, Paleo Power Bowls. I may get some flack for this. From my point of view, the fact that rice has been consumed by humans for thousands of years tells me our genome is well adapted to handle it, provided we are careful about sourcing it and don’t have blood sugar issues. In the introduction section of my book, I mention rice and potatoes are generally accepted by some folks in the paleo community, but if you eat a grain-free diet, you can simply swap out the rice for cauliflower rice, sweet potato rice, zucchini noodles, etc. This is blog post and my book are in no way meant to be used as your personal permission to go hog wild on rice. Again, your level of rice usage is something you need to determine for yourself. Is rice paleo? It depends on who you ask. Is white rice okay? For those who don’t have blood sugar issues, yes. Is brown rice okay? If you notice no gut dysbiosis, it’s fine but you should stick with sprouted. Should I eat rice? That is 200% your journey, my friend. RE: RICE & PASTA IN REGARDS TO THE PALEO DIET. These foods are not as nutritious as they were in our Grandparents day. So should be used as fillers in moderation or not at all if you have stomache issues . So many foods are genetically modified and lack the nutrition and vitamins one needs to be healthy. Julia I love your posts and print your recipes. Thanks and keep up the good work. My boyfriend and I are in the middle of a Whole30 and I’m doing some research on reintroduction. We’re learning a ton about ourselves and our nutrition, but very excited to get rice back our on plates! This article was everything I was looking for when I began my google search for what grains compliment a “mostly” Paleo diet. 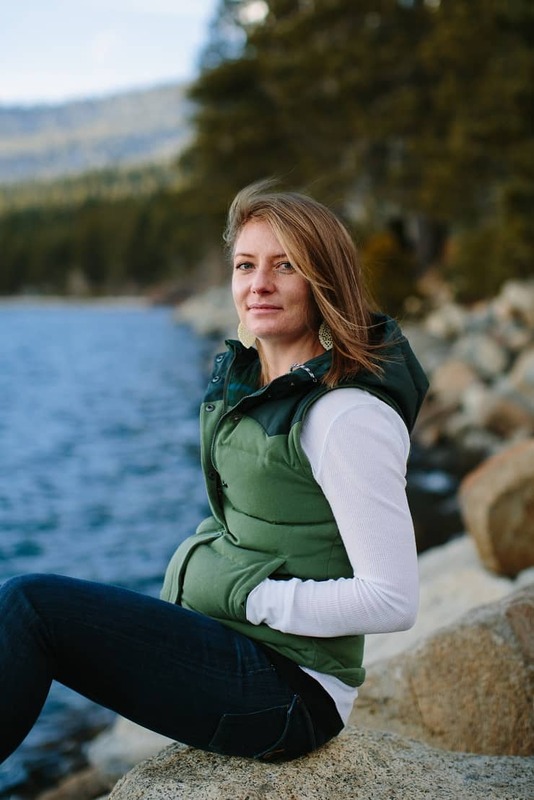 Thank you for going into such detail and uncovering some ideas for me to look further into as we move toward reintroduction and what works best for our bodies! This was my first visit to your blog, but I will be following now!